PMd you, have one available. Let me know! I need the rear spoiler lift/strut, driver's side, for my 2004 Boxster s.
Looking for rear spoiler lift/strut that the spoiler attaches to, driver's side. 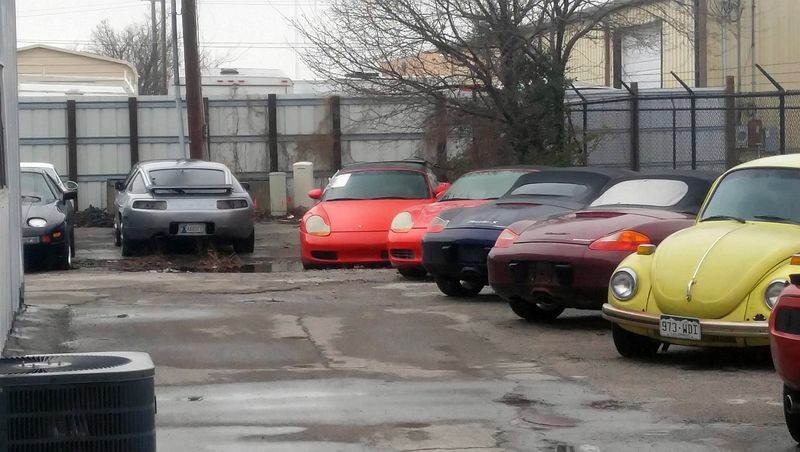 I have 04 Boxster S.
PMd you. Have this item available. Will begin breaking down the following 986s for parts. Please let me know what you need and I will get back to you as quickly as possible with availability and estimated shipping time. Don't know where to get the headlight seals and I do not have any. I have multiple sets of headlights that include Halogen with amber and clear blinkers and also HIDs. Let me know if you have an interest in replacing. I could be interested in your sets of lights. Do you have them on my website? The lights are all in this thread for pricing. HID with Clear Lens - $620.00 including housing, bulb, and ballast. Let me know what you have an interest in and I can get them shipped out! I still have many parts available. Interior and exterior. I will have a red rolling tub available soon also. Will be rolling so including suspension and windshield. Let me know what you're in need of, I'm sure I have it. Have black, blue, grey, and beige interior parts. Have red, black, and green exterior parts. David, I wanted to publicly say thank you for the parts. I appreciate your quick and easy help in determining the exact parts I needed and then quickly getting them to me. PayPal made it super easy to get the cash fast and the clear side turn indicators arrived 2 days quicker than I thought they would. As soon as I finish up the suspension project I'll be back for the doors and center console, Hopefully! Again, I can't thank you enough and I look forward to working with you again in the future. Thank you Thom! Great working with you also! Are you selling any suspension bits? Such as S model rear struts? onaFLYer, reach out to 78F350. He purchased an S model rolling tub from me and may be looking to sell the struts, I currently don't have any. Other than that I would recommend purchasing new. Purchased a front bumper from David - arrived in perfect condition via Greyhound. Great experience. Thank you! Glad it all worked out well for you! Bought a 3 stalk turn signal/headlight/washer/cruise control. Great price, instant communication and same day shipping. How does it get any better than this? Recommend David to others for their used Boxster parts needs! Thank you! It's on its way and I look forward to hearing positive results!